Lyric: What is it and how does it work? There are two main categories of hearing aids: daily-wear and extended-wear. The most common type of hearing aids is daily-wear devices. This means you put them on in the morning and take them off in the evening. You are changing batteries roughly once a week and take care of the cleaning and maintenance of the devices. You would also be visiting the office for more in depth cleaning about every six months. Most daily-wear hearing aids are partially visible to some degree. These devices utilize digital processing of the sound and have the capability of holding multiple programs and using Bluetooth to connect to your smartphone. Lyric is an extended-wear hearing aid. 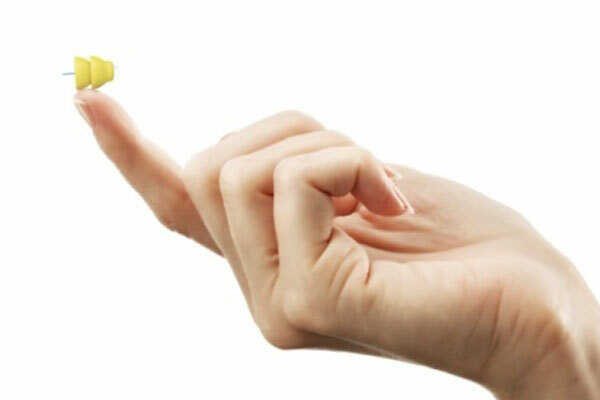 The Lyric hearing aid is placed in your ear by your Audiologist and stays in the ear for about 6-8 weeks at a time. You do not need to change batteries, take them in and out, or clean them. They are a true “set it and forget it” hearing aid. They are also 100% invisible. Lyric is an excellent choice for patients who do not want their hearing aids to be visible, who want a low maintenance hearing aid, or who may have dexterity issues. Additionally, Lyric uses analog processing and sits very deep in the ear allowing for very natural sound quality. The Lyric is not Bluetooth compatible with smartphones, but will still help you to hear better while on a phone call. Due to the nature of how the Lyric works, there are certain candidacy criteria. The first step is getting a hearing test to make sure that Lyric is appropriate for your degree of hearing loss. Second is measuring the size and depth of your ear canal to make sure that it will fit properly as it sits very deep in the ear canal. You must also have good ear health, and must not have other medical contraindications which will be discussed with your Audiologist. If you’ve ever thought about hearing aids but were not sure about all your options, or if the Lyric intrigues you, then please come in for an appointment with one of our Audiologists!